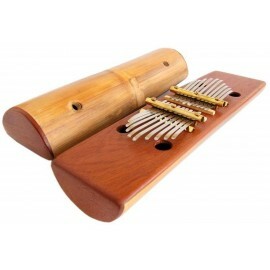 It comes from Africa. 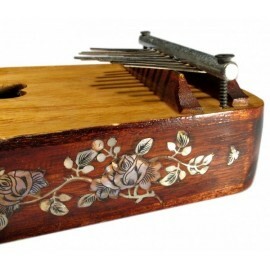 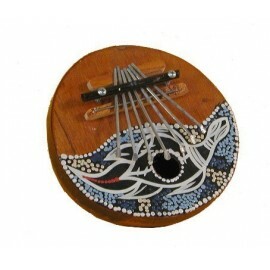 It has a wooden sound-box with mother-of-pearl inlays. 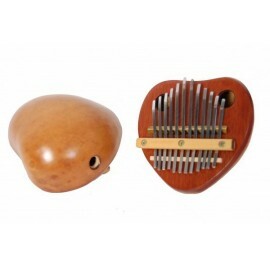 It is played by plucking the steel tongues with the thumbs. 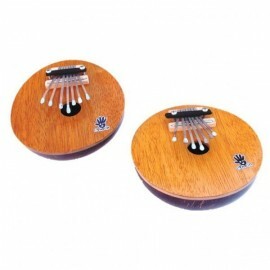 A vibrato effect can be produced by covering or uncovering with the fingers the holes on the top. 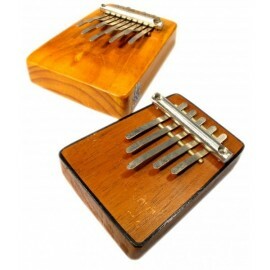 Kalimbas can be tuned at will to produce different types of scales. 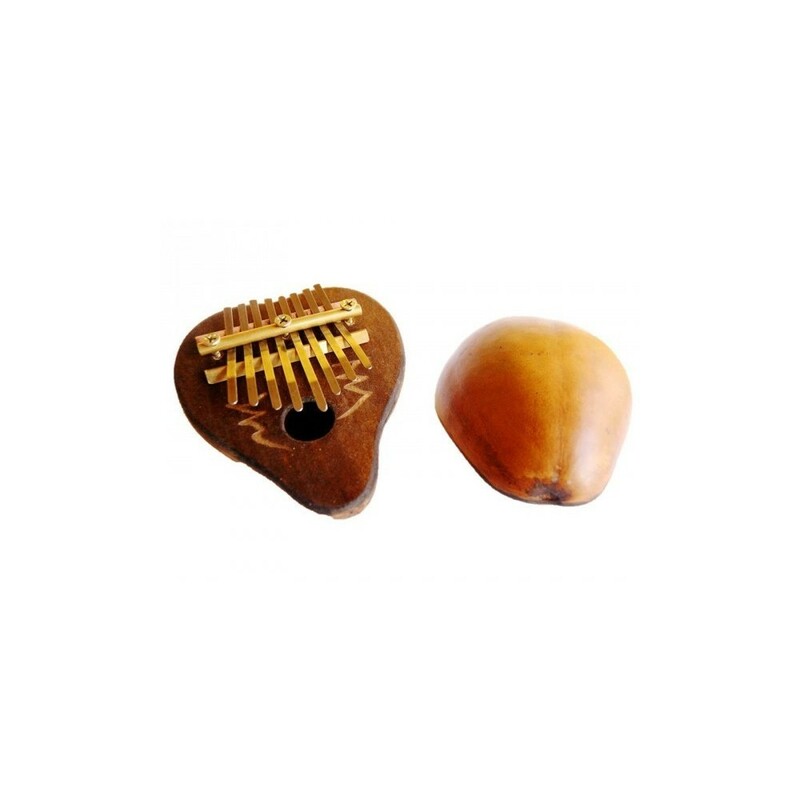 This is done by loosening or tightening the screws that hold down the tongues, which can in turn be pushed back and forwards on the bronze bridge. 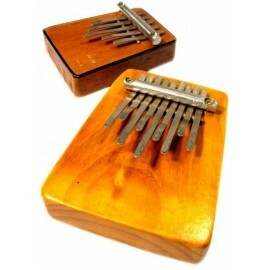 They come with 8 notes tuned in diatonic, pentatonic or chromatic scales, the order of which is alternated from left to right. 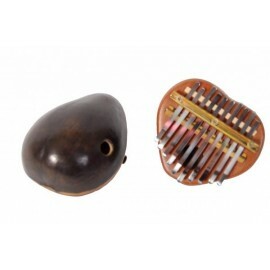 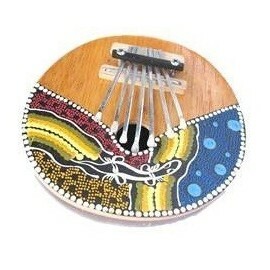 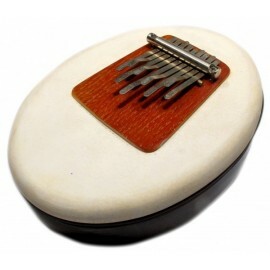 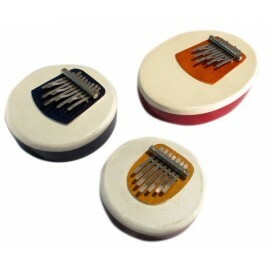 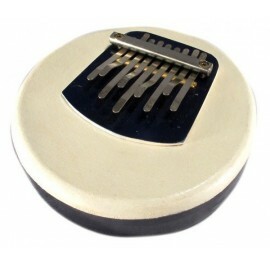 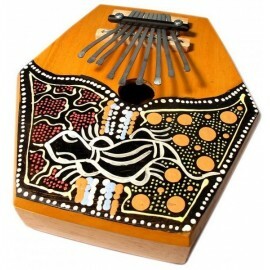 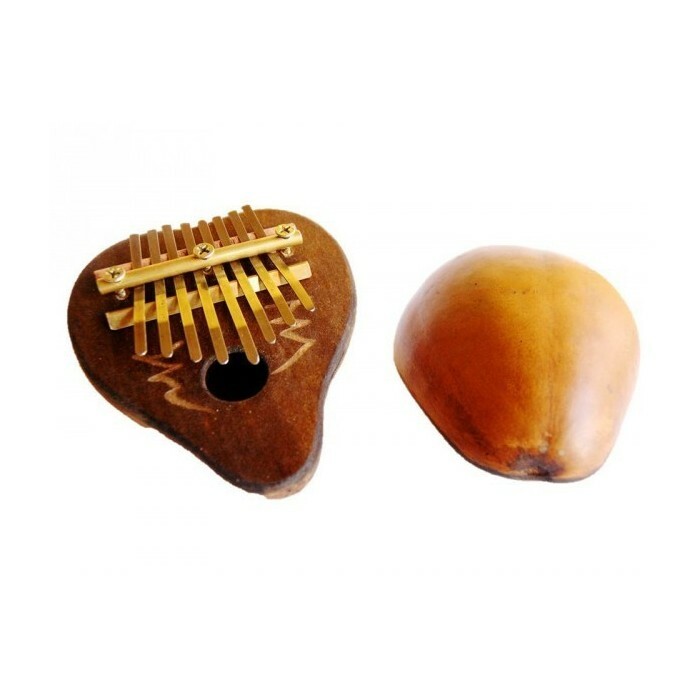 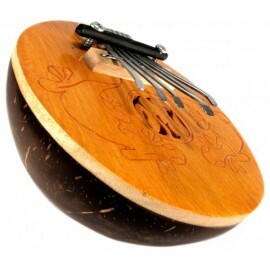 Its original name is Mbira while in Europe is known as thumb piano. 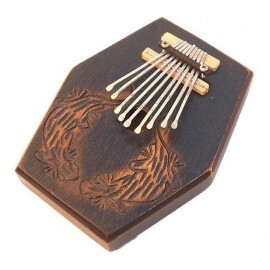 Size: 10cm x 6cm / 4" x 2"